Long ago, our ancestors in faith had ways for individuals and households to praise and thank God constantly, with the poetic richness of praying at morning and evening with hymns and psalms known by heart. As time went on we lost those forms of prayer. In more recent times, some substitutes were found: the prayers called the morning offering, the act of contrition, the Angelus and other prayers related to the time of day. For some, these too have been lost, and apparently nothing has come to take their place.Something similar has happened with rituals apart from the Mass. 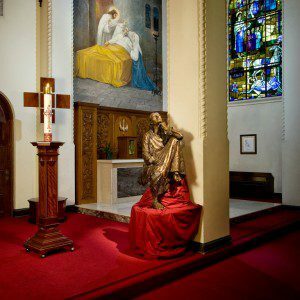 Many popular devotions-devotions to the Sacred Heart or the Sorrowful Mother, and so on-developed during the centuries when the liturgy of the Mass was not something in which most Catholics fully participated. These devotions were usually in the language of the people, with popular hymns, movement, gesture and objects, such as incense and images. These devotions were often very well attended, but in recent years participation in such devotions has dwindled. It was in these non-eucharistic prayers and devotions that Catholics learned to pray, as individuals, in the family and in small communities. Most Catholics today know only the eucharist as a regular form of communal prayer. 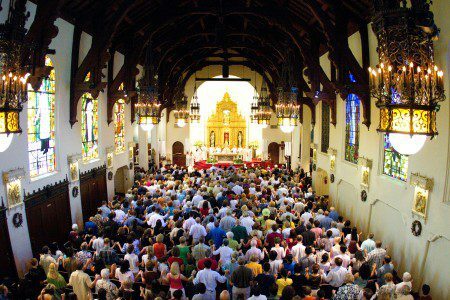 Hardly any other shared forms of prayer exist for most parishioners. 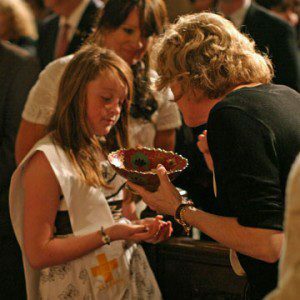 Without habits and rituals to provide day-in, day¬-out prayers, to train us in how to pray, to lead us in the ways of praise, petition, thanks and contrition, we have no way to prepare to pray the eucharist, no way to learn how to pray in large gatherings of the church, no way to let the eucharist echo through our week. We learn to pray by praying, and we learn to pray the Mass through the many ways that ritual prayer enters our lives throughout the day and week. Discovering forms and rhythms of prayer that will resonate with people today has a high priority. To suggest that the Liturgy of the Hours may be the answer need not bring visions of popularizing the bulky breviary that is usually associated with the clerical form of this prayer. That book is, in fact, the product of a history that began with the simple prayer of all Christians. In the monasteries, this became a very complex pattern of prayer and was lost to the people. Today some are searching for the roots of the Liturgy of the Hours, the best of its earliest forms, in hopes that a truly popular form of morning and evening prayer may again become the daily or weekly prayer of parishes and individuals. In the simplest form, the praising and thanking of God each morning and evening need not be written down. It is a prayer of memory, known by heart. The basic prayers of this form of prayer are the Lord’s Prayer, intercessions and psalms. They can bear repetition, can carry the weight of being used every day in a way that most texts simply can¬not. For an individual, the prayer of morning or evening might be one or two short psalms, perhaps with short acclamations and some time for reflection. When several pray together in the parish or at home, simple hymns could be added, along with prayers of intercession. 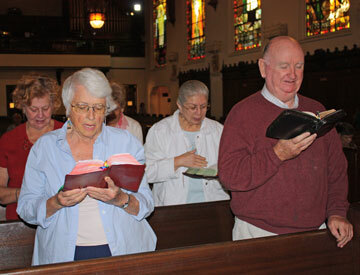 On Sunday after¬noons and on some weekday mornings or evenings during Lent, or on festival days, a parish could celebrate a slightly more elaborate Liturgy of the Hours. In any of these set¬tings, the reading of the scriptures might have a place. The daily living of the faith needs to be strengthened with simple prayer that we might name rites of prayer, in that they are regular and somewhat fixed. These can be in the heart upon rising and preparing for the day, upon coming to table together, and upon retiring at night. In a more elaborate way, they can be the gathered church’s prayer between one Sunday eucharist and the next. They need not be created from nothing: We have them; we have always had them, as Jesus himself knew them, in the psalms and the reading of our scripture. Our task is to rediscover the value of the treasure which is already ours. Come join us in praying the Liturgy of the Hours, Monday through Friday, at 7:15 am.